If it's the time of year when you usually put on a couple of unwanted pounds that don't want to come off in the new year, I have a solution to help you avoid the weight gain and subsequent struggles. We get stressed about gifts and travel plans, but let's not get stressed about our body this year. Instead follow these simple tips, and keep on shining! 1. Bring a healthy dish when you attend a holiday party AND eat before you go. Bring something that you will feel good about eating, dessert or savory. You won't insult the host by bringing something fresh and healthy to their party. They'll be honored that you took the time to contribute. For example, I might bring a vegan dessert with me. It shows the host that I appreciate their hospitality, and it keeps me from binging on unhealthy food, when I would really appreciate a healthy and equally tasty treat. Who knows, you might have people begging you for the recipe. Often times we eat when we're thirsty, feeling bored or nervous; of course we don't realize this is happening; and when we don't understand the cause of our overeating it can control us. This holiday season I encourage you to have a glass of water when you get a craving for the 3rd slice of pie. After drinking the water wait 15 minutes, and if you still want the pie...enjoy it, or have another glass of water. Speaking of pie, this Thanksgiving I made a fabulous Sweet Potato Pie (my favorite dessert). It wasn't my Nana's cream & butter laden pie, but it was so delicious. It really hit the spot! Reinvent your favorite traditional holiday dishes, by making them healthier. Another favorite is my raw Apple Pie. It's guilt-free, delicious, easy to make and impressive! The amount of hours we sleep each night affects our weight and our overall health. Sure, there is a lot to stress out over this time of year, but nothing should be as important as your well being. High levels of stress are directly related to weight gain & retention. If you don't have your health, and if you're feeling crummy and bloated, you won't be as fun this holiday season. Treat yourself to some good sleep! Find your ideal physical activity this season. One of my favorite things to do is practice yoga. I twist out my stress at the studio. I also love to walk; I turn Christmas shopping into a fun exercise by walking all around NYC hunting for gifts. Dancing is another great way to burn calories, get your heart rate up and lessen stress. Blast your favorite music while in the kitchen and dance while the food cooks. Before or after dinner grab your family for a dance party. If these options don't work for you, I guarantee that there is something out there that will. 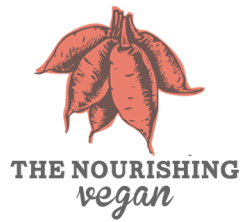 If you want to learn more about maintaining a healthy, happy & nourished holiday please join me for a FREE preview call of the 30-Day Vegan Challenge on December 18th. I'll teach you how to make your holiday delicious, healthy and vegan friendly, plus I'll introduce you to some of the benefits of joining the challenge!